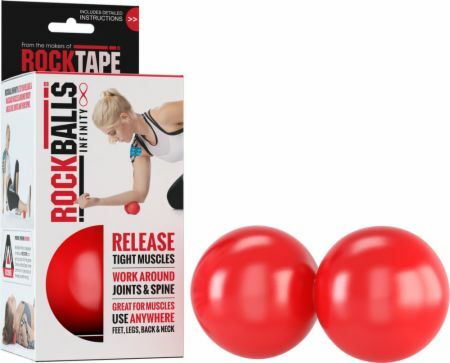 Two balls fuse together in the new RockBalls Infinity to provide dual-action relief to sore muscles and joints. Roll Infinity down your spine or calves and hamstrings to relieve soreness from exercise with twice the pinpoint accuracy. No RockBalls Infinity Reviews Found.